Welcome to Expat Life – It can feel like a bit of a zoo. Continuing from part I of the A-Z of expat life, which covered ‘Armpit of the Earth’ to ‘Moving’ here is part II, from ‘New’ to ‘Zoo’. N is for New. New experiences, homes, languages, countries and cultures. Embrace the newness. N is also for Next Life, as in those wistful words frequently uttered by my husband and many other expat working spouses; ‘In my next life I’m coming back as an expat wife.’ A charmed life it can be, but being a ‘Lady who Lunches’ is not always quite as easy and glamorous as you may think. O is for One in a million expat partners. These are the patient, resilient, uncomplaining (okay, that’s a lie, they complain sometimes, sometimes they complain a lot) men and women who follow their other halves half way across the globe for a different or better life. P is for Packers. They descend on your home like a swarm of ants armed with bubble wrap, packing boxes and tape. You thought you were ready, you thought you had it all under control until the chaos of the the packers is unleashed. They scatter to the far corners of your home and garden. You have to keep an eye on them. If you didn’t lock and barricade the door to the room with your suitcases that are not to be packed, they’ll be the first thing out the door and wedged at the back of your container. Kept a bit of food in reserve for a final supper? Careful, it could easily end up packed and festering in a container for weeks. Left a small i-pod, cash or sunglasses lying around? These could end up being packed in someones’ pocket and never seen again…..and the ripping sound of packing tape being stickily unwound will haunt you forever more. P is also for Personal Grooming, another of the lesser known challenges of expat life. My particular bugbear under the Personal Grooming category is getting a haircut. It can be a bit of a hair raising or should that be hair razing experience. Q is for Quest. Arriving in a new country even the most seemingly simple of tasks can become a quest, whether it’s to find shoelaces, fabric softener or low carb food options. R is for Repatriation. Yep, eventually many of us go home. It’s easy to think this is the simplest part of the entire expat experience. It’s not. Fitting back in is tough. You’ve changed, things back home have changed. 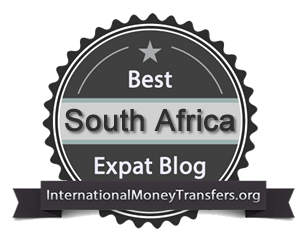 It’s best to go in with the mindset of treating it as another expat relocation. R is also for Rose (or Rosé) tinted glasses. Sometimes it is us that wears them, sometimes it’s is our family back home making all sorts of assumptions about our lives overseas. Rootless and Restless are yet two more R’s that are a big part of the expat existence. S is for Serial expat. 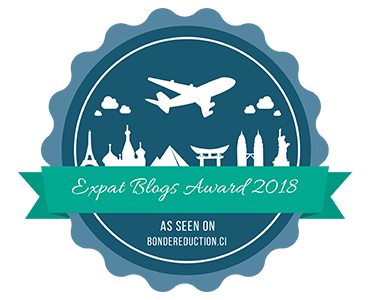 You move abroad, often under the naive misunderstanding that this is in one location for a fixed amount of time, then another opportunity comes up and another…and before you know it you are a serial expat. S is also for “See you next time.” The endless goodbyes (especially if you are a serial expat) take their emotional toll. “Parting is such sweet sorrow”, so said no expat ever. So we don’t say goodbye, we say see you next time. S is for Secret Agent. I just wonder how many expats and especially expat partners are in fact secretly working undercover. T is for Travel. It’s got to be one of the big perks! We’ve visited places that would never have been on our radar and had experiences we could never have dreamed of while we’ve been living overseas. But T is also for Torture, Travel Torture, sometimes it’s not glamorous or fun at all, just ask Buzz Lightyear. U is for Unpronounceable foreign words and unidentifiable foreign foods. Good luck with those! U is also for Uncertainty. Contract coming to an end? Company having a reshuffle? Planning to go home, but not sure where you’ll live as there are tenants in your property? Deciding whether to stick, twist or go home and trying to marry up schooling, housing, job timelines and the timing of your shipment is a gigantic headache of uncertainty. U is also for Untethered. V is for Visa. Sometimes obtaining a visa is straightforward. Often it is not. Even when you get your visa, if you are the dependant spouse, you may find that although you can physically live in your expat location, you won’t be allowed to work, open a bank account or own a car. Welcome back to the 1950’s. W is for “When we lived in…”. We say it to give context to whatever tale or hilarious anecdote we are recounting. Other expats get it, back in our home countries friends’ and families’ eyes instantly glaze over. W is also for Worlwide Wonder Woman. All mums are Wonder Women and expat mums are Worldwide Wonder Women performing superhero feats wherever in the world they land. X is for X-ray delays. Usually this happens at the airport due to unusual items in your hand-luggage. Like the time one of your little darlings snuck in a toy gun when you weren’t looking. The X-ray delay could also happen when your container arrives and when scanned, that small statue you’ve had for years of a figure in the foetal position, is mistaken for a mummified child stowed away in the middle of your belongings (true story – it happened to a friend – once the statue was unpacked and inspected the rest of my friends’ worldly goods were released to her). X is also for Generation eXpat. As expats we often have the opportunity to completely reinvent ourselves and stray far from the paths we set out on, in a good way. Y is for say YES to everything. A party? Yes please? Helping at an orphanage? Yes please. Learning to knit? Go bungee jumping? Watch paint dry? Yes please. Saying YES to everything is one of my 5 Strategies to be or become a HAPPY EXPAT. Z is for Zoo. Expat life is like a zoo. Sometimes you feel like you’re in a cage and that all the locals are staring at you. Sometimes you feel like a performing monkey as you repeat the getting to know you spiel – “Where are you from?” “Where have you moved from?” Sometimes it’s just so jolly crazy and chaotic, but at the end of the day this Expat Life IS your circus and the crazy daily frustrations ARE your monkeys, so you’ll find a way to figure it all out. Reading this is like reading a part of my soul. It’s everything I’ve tried to say since becoming an expat. The sound of packing tape haunting you is the truest. 😂 It’s so nice to know that others really understand, and can put it into words. Thank you. So glad you enjoyed and that it’s not just me that flinches at the sound of packing tape – it makes me want to 😱. I have to agree with Emily. Some of this hit too close to home. Like the fact that our internet was down all week. Or that we mysteriously can’t find several items from our last move. There are so many things that new expats are not prepared for when going on assignment. And thanks for including the 1 in a million like me. Merry Christmas and happy holidays.